Do you have the Great American Screenplay inside you, itching to come out? Maybe the next big film sensation is currently an idea floating around in your head. 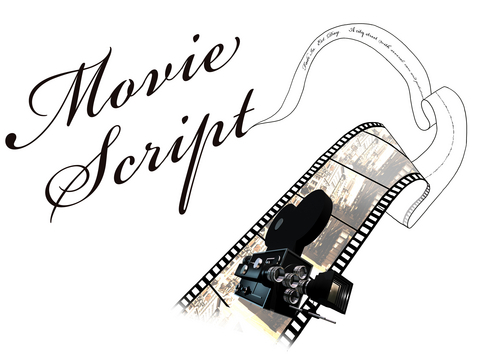 Do you want to share your screenplay with the world, and maybe win a cash prize by doing so? If so, then here is a competition tailor-made for you! Since 1998, the BlueCat Screenplay Competition has provided a community for the unknown screenwriter to develop their work, giving undiscovered talent a path to professional success. BlueCat accepts both feature length and short screenplays, and in keeping with our longstanding tradition, every screenplay will receive one written analysis, with our best screenplays receiving over $40,000 in cash prizes. All submissions received by June 15th will receive their written analysis by July 1st. Students will be eligible to submit their short screenplay at a special rate of $35. The final deadline for the competition is November 15th, 2014. The BlueCat Screenplay contest is well known and credible. The list of past winners who have achieved true success is quite remarkable. The contest claims to be an entryway for beginners and unknown screenwriters to have their works read. Judging by this list, it does seem to be effective with that goal. Young Il Kim’s script, “Rodham”, a 2012 Blacklist Script, recently attached director Jason Ponsoldt (“The Spectacular Now”). Young recently won the 2013 Alfred P. Sloan Commissioning Grant from Sundance, where he will write a biopic on Stephen Hawking. Here is a list of links so you can tap into the BlueCat social network for more information. The deadlines are fast approaching, so if you have an eligible screenplay, dust it off and get it ready for a critique. As the rules posted above state, even if you do not win anything, you will get a written analysis by a professional to help you perfect your screenplay. If you’re serious about sharing your movie ideas with the world, I encourage you to go for it!